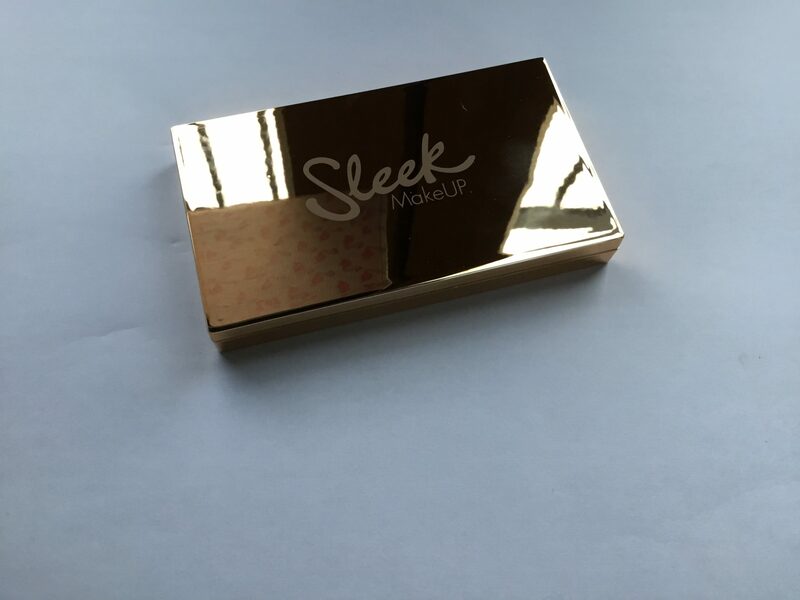 I’ve been sent some gorgeous Sleek MakeUP palettes to try which would make perfect Christmas gifts. 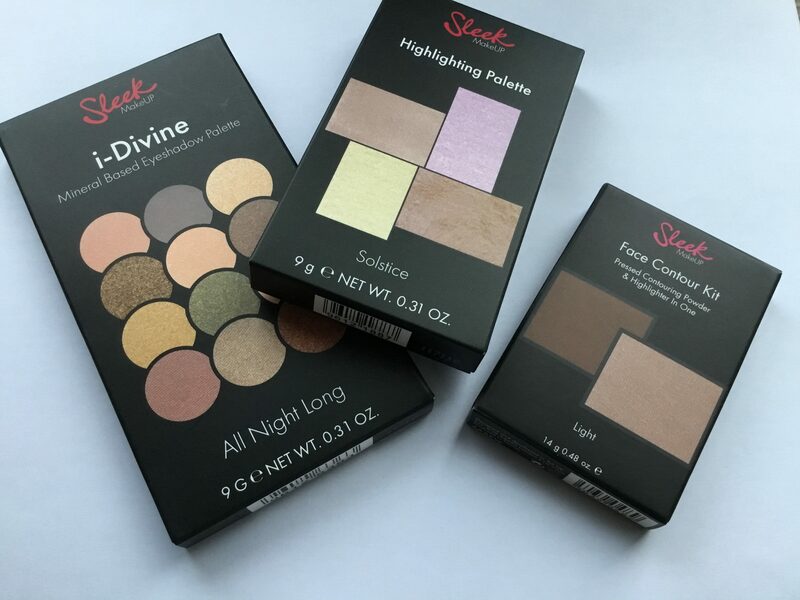 I am a big fan of Sleek makeup and love their eye palettes which are always really good quality and the eyeshadows are pretty pigmented. 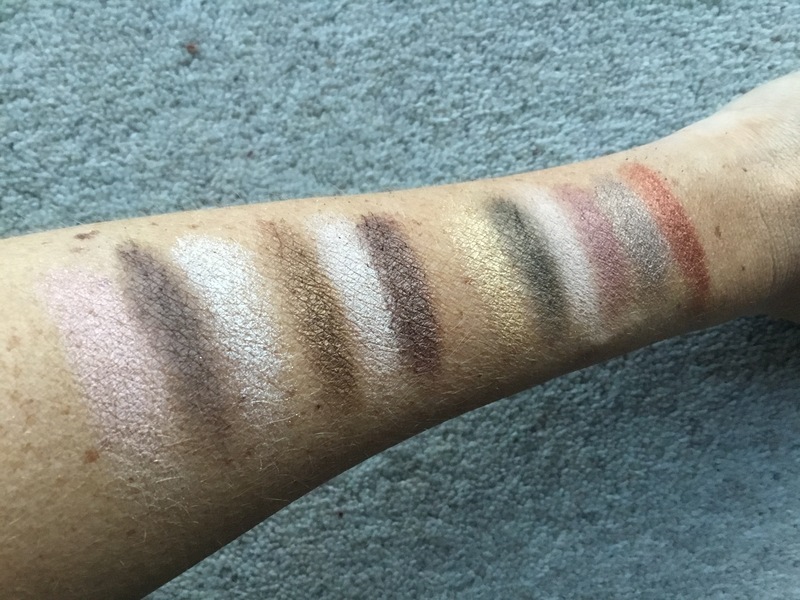 The shades in this I- Divine Palette All Night Long are creams, golds and shimmery browns. 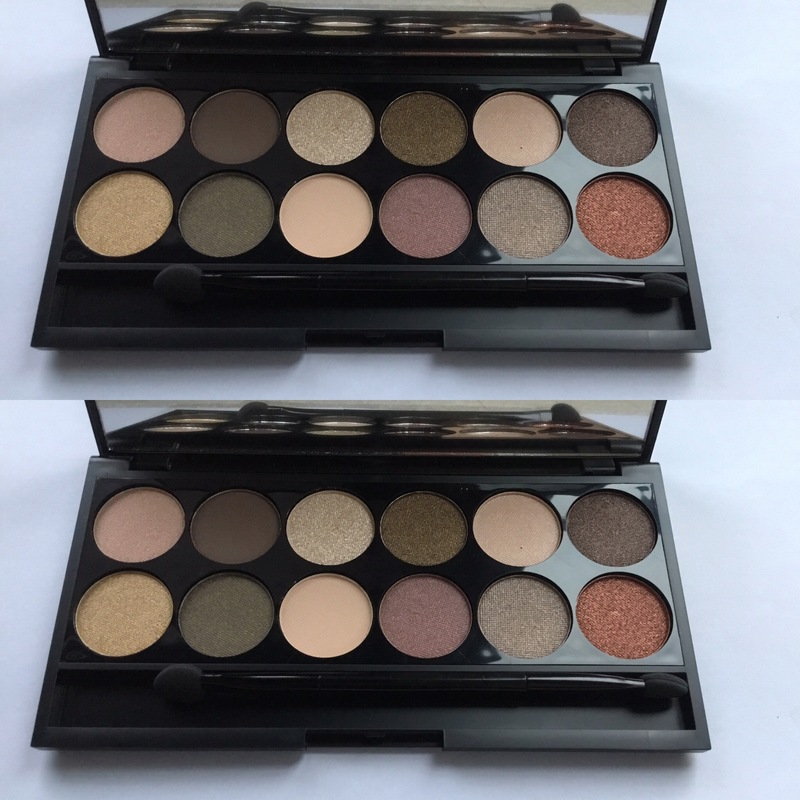 This is a super wearable palette with some good basic neutrals for day and some more intense metallics for an evening look. £8.99 here. This highlighting palette in Solstice is fab and I love the glam packaging… I think most makeup lovers would be happy to receive this as a gift. 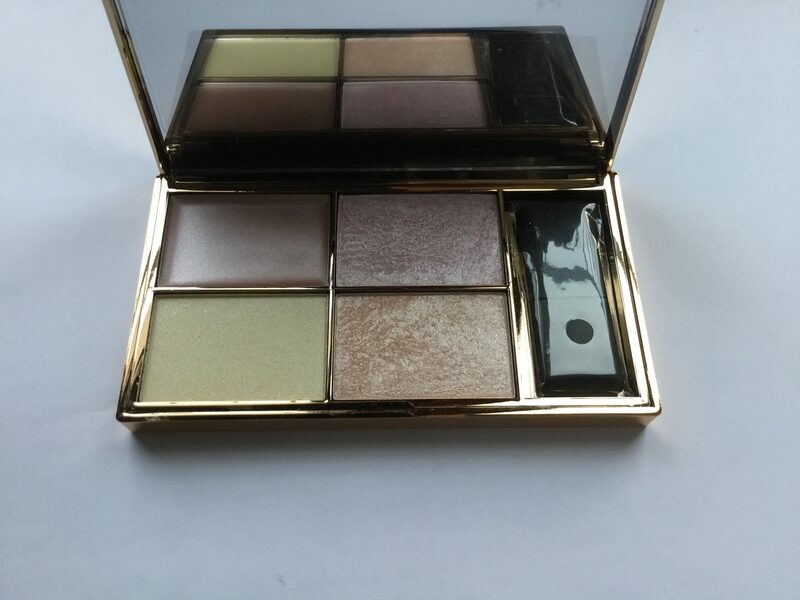 It contains one cream highlighter, two baked highlighters and a shimmer powder. 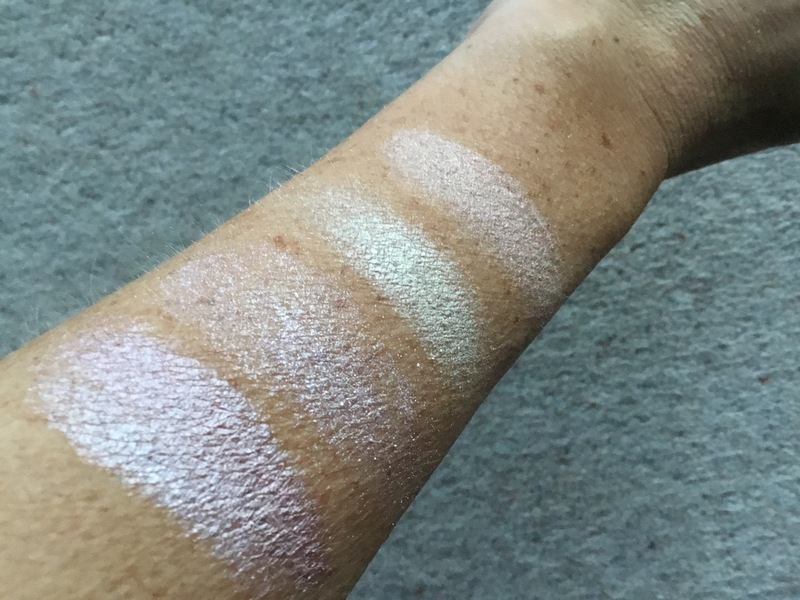 You can see in the swatches below that the cream highlighter is the most intense colour wise, but the other two highlighters pack a punch too and I particularly like the lilac tinged one in the top right hand corner. This has had some great reviews and I can see why and such an amazing price too, £10 here. The Sleek Face Contour Kit is another really wearable item. 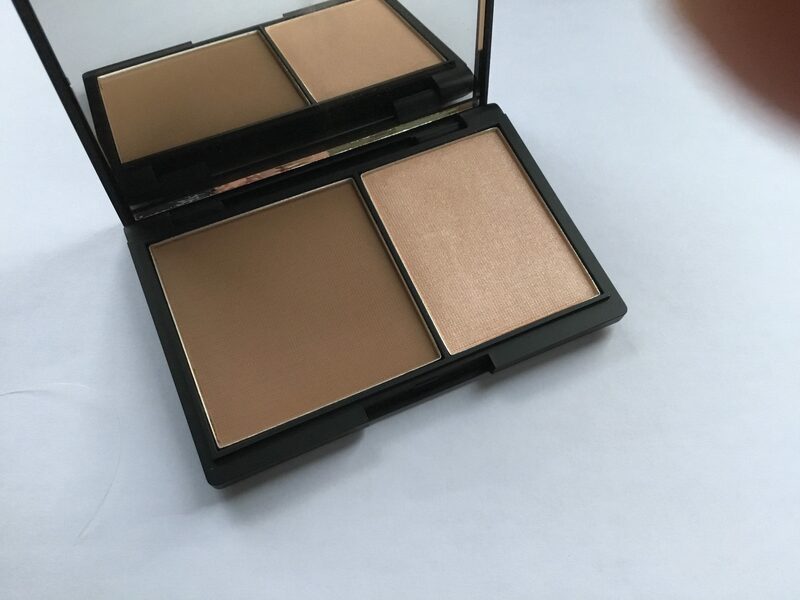 It contains a dark pressed contouring powder and powder highlighter to define and highlight the face. If you are new to contouring, it contains a great guide to help you. This is the light shade and I personally would prefer a slightly darker shade but it is perfect for lighter skin types. It makes a great reasonably priced stocking filler for teens too. £7 here. HOLY MOLY. These colours are gorgeous and so pigmented! The quality looks better than a lot of high-end makeup, which shows that drugstore makeup is often underrated because people can be such brand whores (pardon my French). Definitely need to invest in this.